This product is available at Ebay, Banggood, AliExpress, Amazon.com. 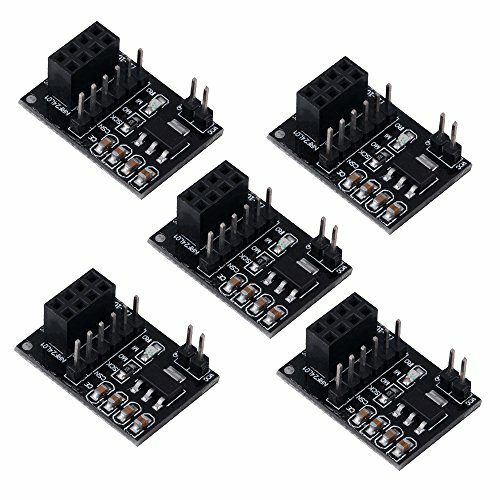 At ebay.com you can purchase 2pcs Socket Adapter plate Board f 8Pin NRF24L01+ Wireless Transceive​ module 51 for only $0.99, which is 92% less than the cost in Amazon.com ($11.99). The lowest price of Diymore Socket Adapter Plate Board 8-Pin NRF24L01+ Wireless Transceiver​ Module (5pcs) was obtained on 9 February 2019 2 h 06 min. 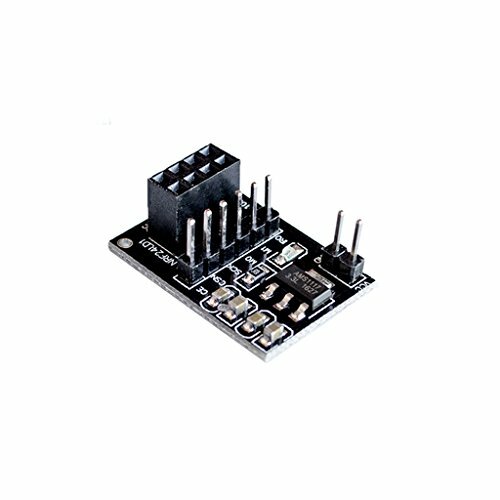 Whatever radio module nRF24L01 is used (standard or nRF24L01+PA+LNA, long distance), it is preferable to use an adapter. In fact, these modules include a voltage regulator (step-down) that allows the 3V3 radio module to be stably powered. The power regulator is of better quality than those that equip the Arduino (or Arduino Micro). If the power supply is unstable or disturbing, the reception or transmission of data packets can be severely disrupted.